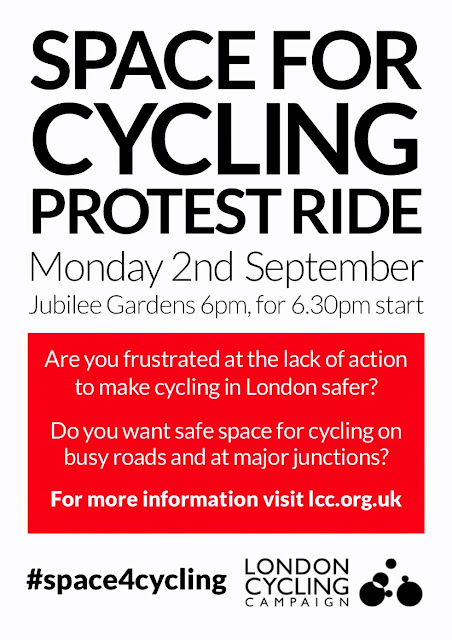 Despite the four recent cycling deaths and thousands of people taking to London’s streets in protest, Mayor Boris Johnson has ignored the public’s clamour for safe space for cycling. The ride will depart at 6:30pm and take a route around Parliament Square past the House of Commons. On Monday evening MPs are debating cycling and the All Party Parliamentary Cycling Group’s report ‘Get Britain Cycling’ to which LCC and many other campaigning organisations and individuals contributed. Main roads and major junctions need to be made safe for cycling using segregated tracks and cyclist-specific traffic lights to protect people from fast-moving and heavy motor traffic. Local streets – where people predominantly live and shop – should transformed into spaces that are safe for cycling and walking by removing through motor traffic and reducing its speed.